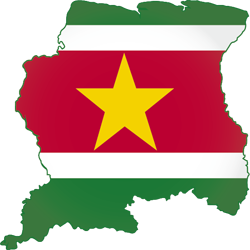 The Embassy of the Republic of Suriname in Pretoria is no longer taking visa applications for business and leisure travellers wanting to visit the South American country. An employee at the embassy said the Suriname government was in negotiations with another country for that embassy to issue visas for Suriname but nothing has been confirmed yet. It is not known when a decision will be made on where visa applications will be processed. At this point it is hoped that finalisation will be reached by the end of January. The Pretoria Embassy handled all requests out of Africa and is currently receiving calls throughout the day from travellers who need to apply for visas. DIRCO at this stage is unable to take calls about the development of this news @ 23 November 2017. Visalogix shall endeavour to keep you undated.